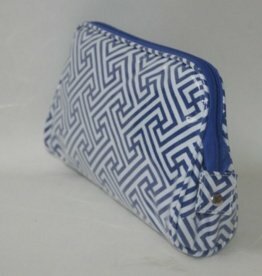 The Large Cosmetic Bag holds all your make-up, brushes, and more. Made with a vinyl liner this bag is easy to clean and will keep all your favorite products organized. Large enough to hold all your hair-care and beauty products including hair-dryer, curling iron, and more! There are so many uses for this bag-you will LOVE it! Exterior is covered in clear vinyl for easy clean up.